North India offers a diverse mix of cultures and terrains. It will take your entire vacation just to explore some of the most famous offerings in northern India: including Delhi, Jaipur, Agra and Rajasthan! 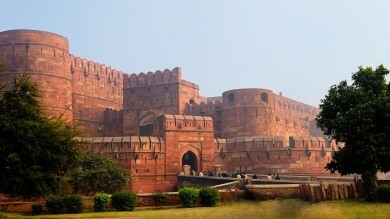 North India houses some of the most popular tourist destinations in all of India. This includes the Golden Triangle (New Delhi, Jaipur, Agra), the desert beauty of Rajasthan, the historical Uttar Pradesh, and countless religious destinations. 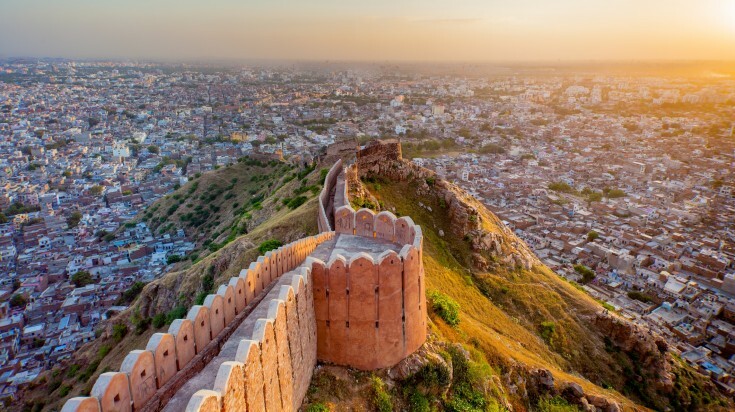 The historical cities of New Delhi, Jaipur, and Agra should be on the top of your list - as you will get to see the grand monuments, including the Taj Mahal and the Red Fort! The beauty of Rajasthan, with its grand forts, endless deserts, and beautiful oasis cities like Jaisalmer, and the lake palaces of Udaipur should not be missed! For those who want to explore their spiritual side, destinations like Varanasi, Rishikesh, and Gaya will be the main draw. During winter, the best months to visit are between February - March, and October - November, when the weather is pleasant. North India can peak at 110 degrees Fahrenheit, making it quite hot and humid. July - September is generally a low season across the country, including North India, due to the monsoon season. A lot of tourist options might be closed for you during this period. The best months to travel to north India is between October - November, and February - March. These are winter periods and weather in North India will be most pleasant. The weather will be quite cool and might dip down to 55 degrees Fahrenheit, but the day temperatures will be higher. Since this is not the peak season, you will not have to worry about high temperatures or prices! A lot of India's major festivals happen during these months, so you will be able to enjoy the cultural offerings of the country as well. 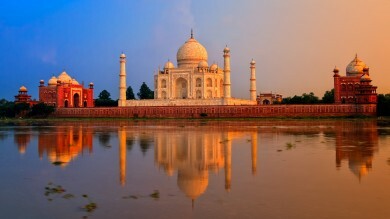 Highlights: This is the best time for you to visit the Golden Triangle - which includes Delhi, Agra, and Jaipur, and also cities like Varanasi and Khajuraho. You will be able to view the beautiful historical monuments (the splendid Taj Mahal) while enjoying the best possible weather. October - November would be a good time to explore the desert cities of Rajasthan such as Jodhpur and Jaisalmer as the desert heat will be greatly reduced, and the night winds will not be too cold. This is also the season of festivals in India and the northern part will celebrate Diwali (usually occurs in October-November) with a lot of pomp and splendour. Dusshera, a ten-day long festival, is celebrated with grandeur in Delhi. If you're looking for something unique, plan a trip to the Bikaner Camel Festival in January! March also sees the celebration of the colourful festival of Holi - which you should definitely not miss! 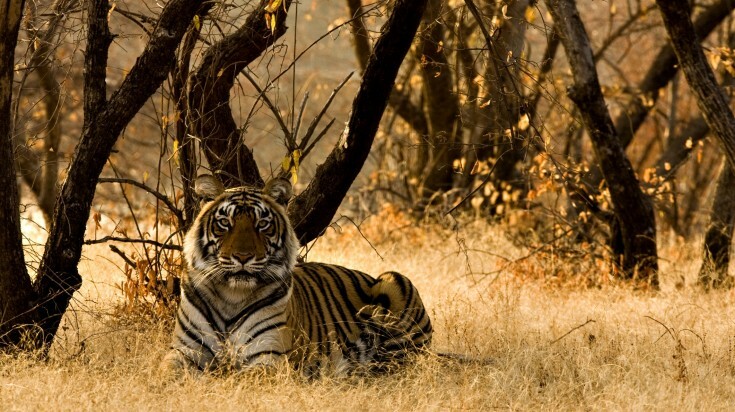 Ranthambore National Park is one of the largest national parks situated in Rajasthan, India. April - June is the peak summer season in north India. The weather tends to spike up to over 100 degrees Fahrenheit. Throughout the northern states, there will be a hot sand-storm named Loo, which can disrupt your travel times. Most educational institutions are closed for summer, creating more domestic tourists. The popular tourist destinations and urban centres in each state will become crowded during this period. If you're traveling during this period, expect higher prices, and book your accommodation and travel tickets months in advance. Highlights: This is the best time to visit north India if you want to go wildlife spotting, or enjoy trekking in the foothills of Himalayas. 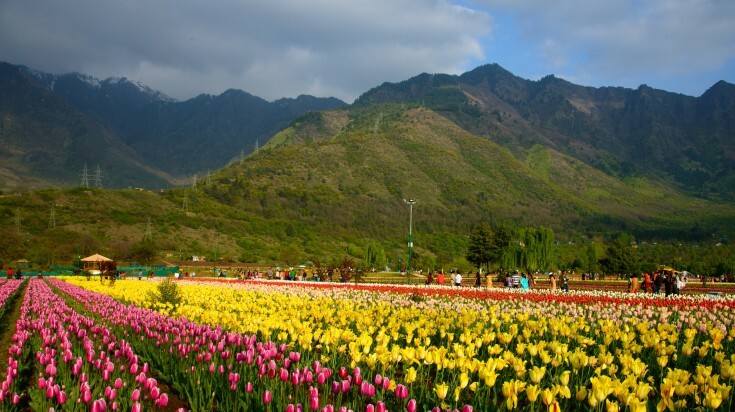 Some of the cities that are best visited during summer are the hill towns of Srinagar, Nainital and Mount Abu. If you wish to explore the rich wildlife of India, you can head to the Jim Corbett National Park, or Ranthambore, to go on some world-famous safaris. Monsoon in north India come with a full blast. From July, you will see some scattered rains across the country, and by August, the monsoon will become heavy throughout the northern states. You can expect disruption of tourist services, and transport services, depending on where you wish to travel to. It will be more difficult to travel to remote locations within the country. However, if you are the kind of person that loves the monsoon rains, this will be a wonderful time to travel. There are some great travel destinations for you to explore during this period - especially in places where the wildlife and flora comes alive due to the rains! Highlights: This is a great season for those who want to enjoy ecological tourism. Many forests in the Himalayas might be out of access due to the rains, but you can head up to the Valley of Flowers in Kashmir, or go to the Hemis National Park to explore the unique natural beauty of the country. If you are more interested in cultural tourism, then this is a good time to visit Chandigarh and Fatehpur Sikri. Both are unique and well-planned cities that can teach you a lot about India's rich history. The best time to visit North India is during the winter months between October - March. The number of visitors will be reduced during this period, and you can expect better but dry weather. Since this is not the peak season, you will not have to worry about high temperatures or prices! A lot of India's major festivals happen during these months, so you will be able to enjoy the cultural offerings of the country as well. The weather in the northern part of the country can be extremely varied, so your experience in the country will depend on when you visit north India.